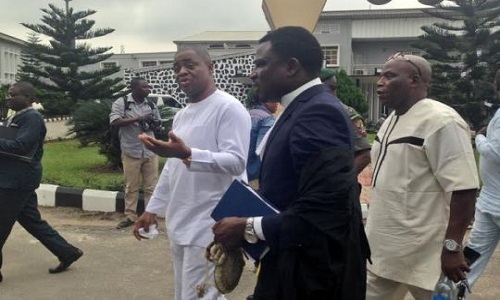 Chief Femi Fani-Kayode has been granted bail by a Federal High court sitting in Lagos on Monday morning. We had earlier reported that Femi Fani-Kayode who is facing charges of money laundering had the hearing for his bail application adjourned to Monday. He was arraigned alongside a former minister of finance, Nenadi Usman. On Monday the 4th of July 2016, at the Federal High Court, Lagos State, the Court sitting before Justice Hassan granted Bail to Fani Kayode to the tune of N250 million and 2 sureties in like sum. He will also submit his international passport to the court.